Tonga is often spoken of as a “friendly island”, and after only being here for a few days I can certainly say it is not just a clever marketing pitch – it is very true! 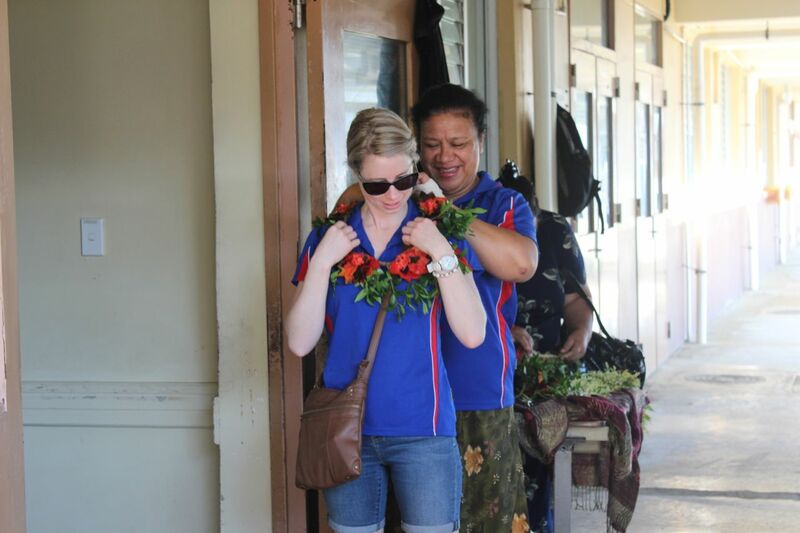 Since my arrival, we have been greeted with open arms and love from the Tongan people. 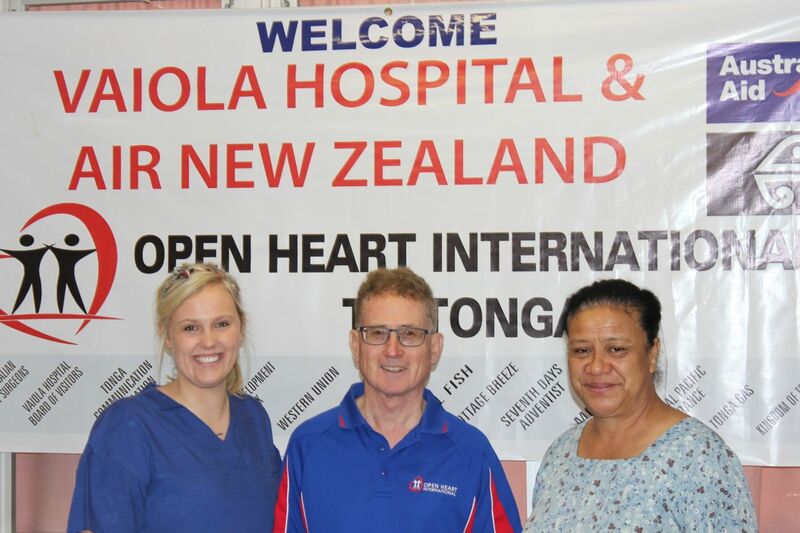 With such a small population (approximately 100,000 with a majority living near the capital city of Nuku’alofa) everyone in town is well aware of us, and knows the work Open Heart International has done. I wouldn’t be surprised if nearly everyone knows someone who has had cardiac surgery from the team sometime since 1986 due to the small population! The local community is extremely grateful, and this is evident in their desire to support how they can. 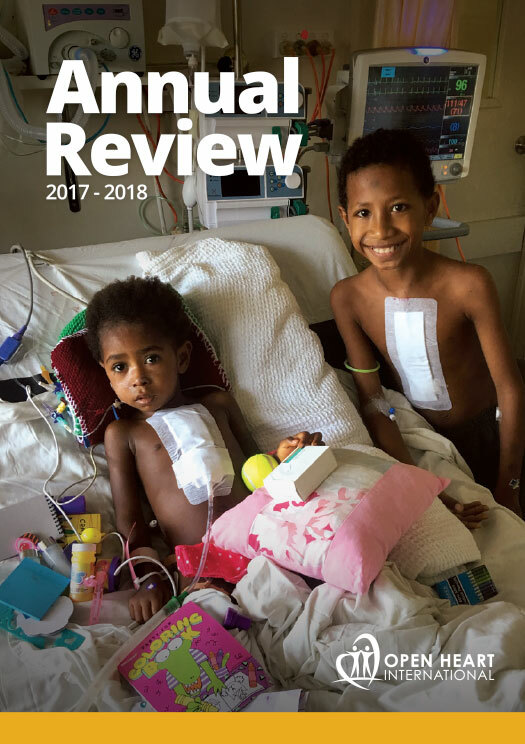 Nearly every night of our visit we are being hosted by a group and function – whether that be different churches, donors, supporters or the Ministry of Health. We certainly haven’t gone hungry, and Tongans sure know how to have a good feast! 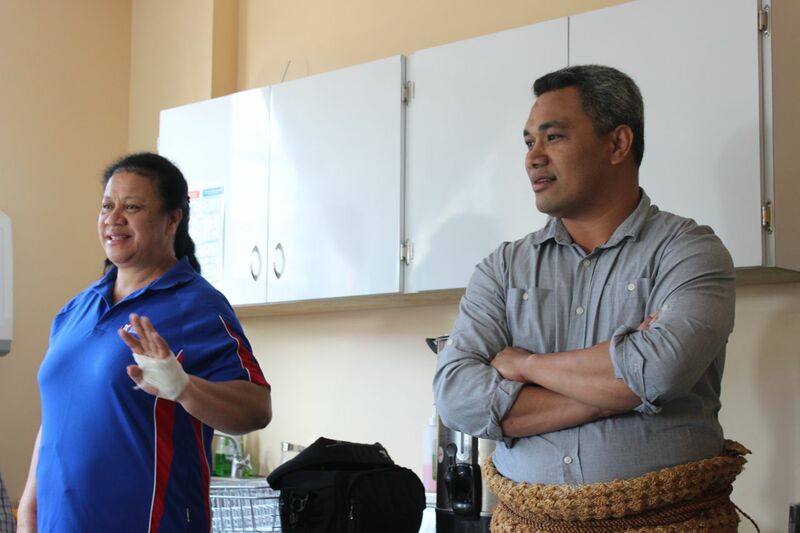 A lot of the great hospitality we owe to Dr Toa Fakakovikaetau (right hand picture above) and her amazing on-the-ground team. Toa is an amazing women. I feel she never runs on empty! She is constantly doing 100 things at once but always has a smile on her face and time for a chat. 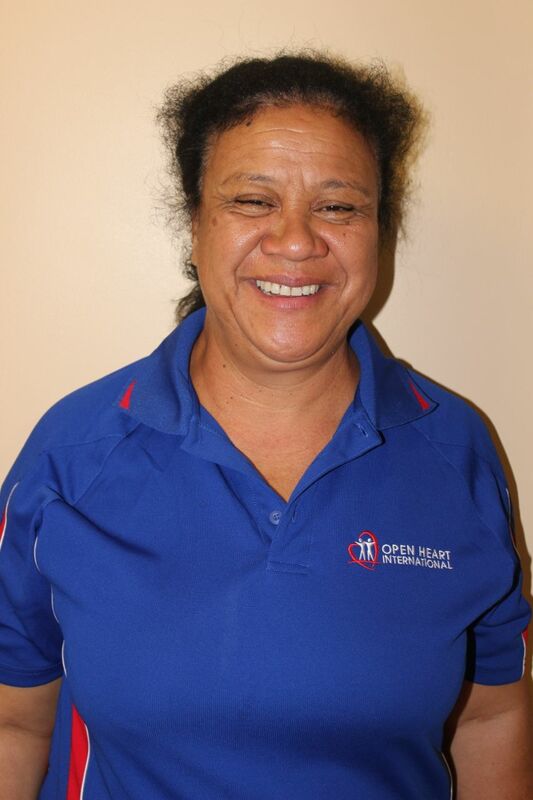 She has a great support network and colleagues who all contribute to the great project here in Tonga. Working for Open Heart International teaches amazing lessons in project management, and overcoming logistical challenges. We work with amazing people all over the world in our projects, but I am so amazed about how smoothly everything has been so far her in Nuku’alofa. From our equipment arriving from Australia in record time, to five cars being lent to the team, food being delivered every couple of hours to the hospital, patients turning up for surgery, we owe a lot of the project’s success to Dr Toa and her team. Obviously every trip has its hiccups (fingers crossed no big ones are coming our way!) and learning curves but it has been a wonderful thing seeing everyone and everything work together so well. Not enough kind works can be said about Dr Toa. 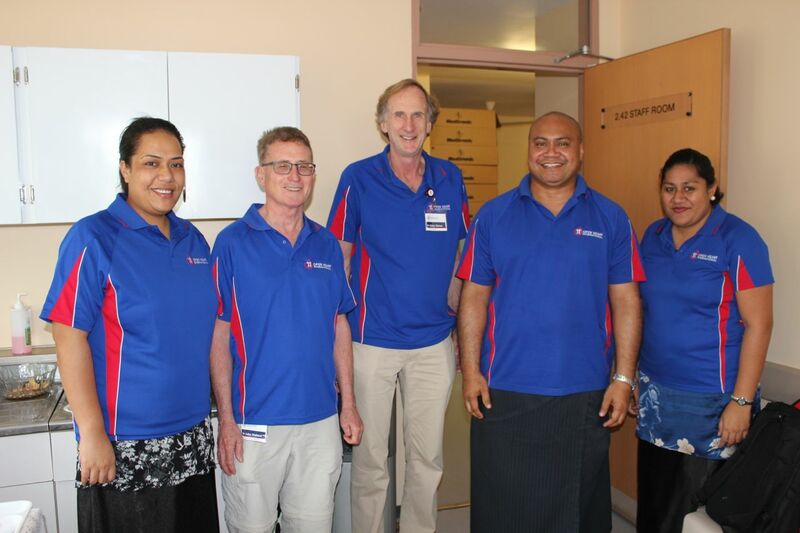 Her hard work paves the way for a successful visit every time, and we can tell how dearly she loves our visits, and the pride Vaiola Hospital has in hosting our team. It is this special bond we have with the Tonga people that makes this place so special for all our volunteer team.